Like other states of the Southwest, Arizona has an abundance of topographical characteristics in addition to its desert climate. More than half of the state features mountains and plateaus and contains the largest stand of Ponderosa pine in the United States. The Mogollon Rim, a 2000-foot (600 m) escarpment, cuts across the central section of the state and marks the southwestern edge of the Colorado Plateau, where the state experienced its worst forest fire ever in 2002. 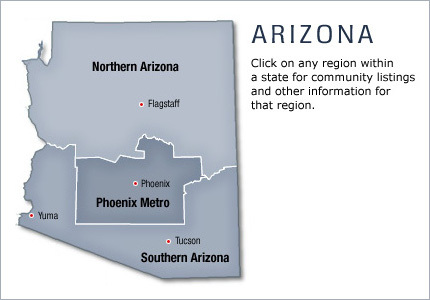 Arizona belongs firmly within the Basin and Range region of North America. The region was shaped by prehistoric volcanism, followed by a cooling-off and related subsidence.